babyMaternity Retailer Magazine a trade magazine for RETAILERS, covering the baby and parenting aids industry. Baby Maternity Retailer is the newest trade magazine covering the baby and parenting aids industry. What makes Baby Maternity Retailer stand alone is its ability to provide the baby product market with top rated reviews of products that are endorsed by Creative Child Magazine, parents and educators. This enables the buyer to better understand what the market truly thinks of the products that are presented. 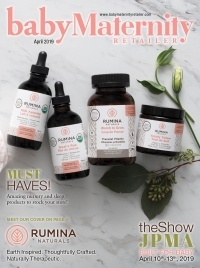 BabyMaternityRetailer.com takes the Baby Maternity Retailer Magazine to an additional level by providing buyers of toy store retailers with more information including current daily news from around the web as it relates to the industry. Baby Maternity Retailer is published by Scooterbay Publishing, Inc.
As sister publication to Baby Maternity Retailer, Creative Play Retailer brings the same retail buyer focus to the toy industry. Every issue features in depth company spotlights, hot products, industry news and much more. Like Baby Maternity, Creative Play Retailer has an online counterpart, CreativePlayRetailer.com. The site houses an easy to navigate database of manufacturer profiles and products, highlights from the current issue, latest industry news, additional resources and more. 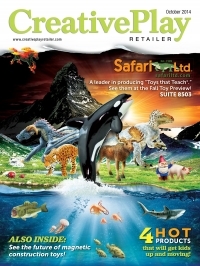 The first magazine published by Scooterbay Publishing and still the flagship, Creative Child Magazine is a national consumer magazine the provides parents with information on how to nurture creativity in their children. Now celebrating its 11th year it continues to grow it circulation throughout the country and can be found in over 1,000 retail outlets in addition to over 3,000 pediatrician, children's dentist and OB-GYN offices. Creative Child can be found on the web at CreativeChild.com.